When you hire Jennifer Anderson Photography to photograph your wedding, a custom acrylic USB drive is included in the base package. Your photo is printed on the acrylic drive which is placed in a secured, padded leather box. 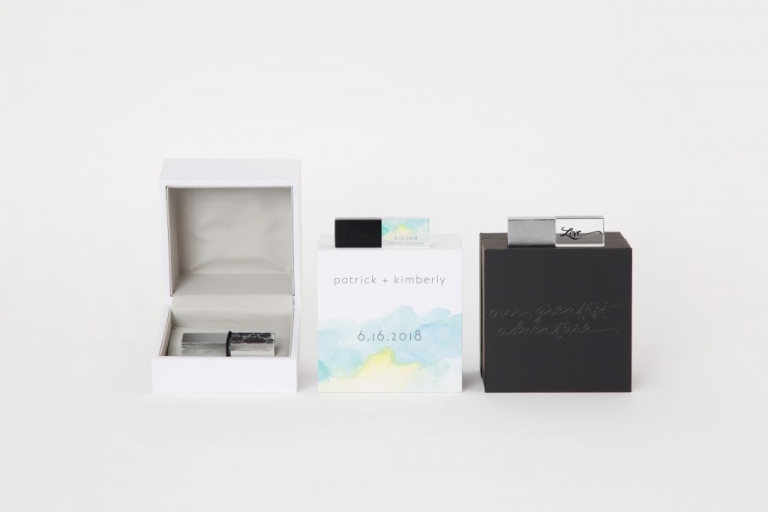 The box also has your image printed on it along with your wedding date. The padded box then closes and is slipped into a velvet lined leather sleeve to protect the box. Customizations are endless + provide gorgeous results. If you are still looking for a Chattanooga Wedding Photographer, and want one of these amazing Custom Acrylic USB Drives, contact me here!